We love the simplicity and ease of this product! Love not having to remember to apply every month. 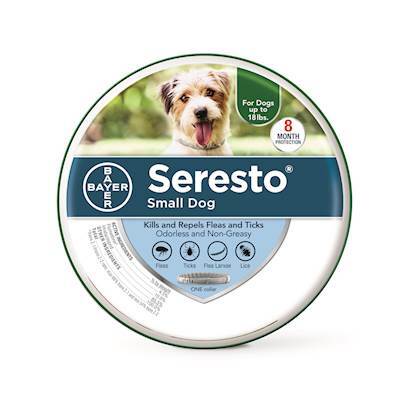 This is a great product for dogs. I found this product easy to use. Love the product, not the price! This product is Fabulous, no smelly medicinal odors! This collar is Great ! Great product at a great value! Saw results within three days of putting on the collar. I like not having to apply a greasy product onto my dog's skkin & then having to deal with greasy fur for days. SIMPLE, EASY. DID I SAY SIMPLE & EASY? This product worked for us in 24 hours. The features of Seresto are time and cost saving!